Yankees General Manager, Brian Cashman, has been on top of the ball and always been one of the best GMs in the game. Headlined by his trading away of Aroldis Chapman for rookie All-Star, Gleyber Torres, just to resign Chapman in the following offseason. He traded Adam Warren and Brendan Ryan for Starlin Castro to later turn Castro into Giancarlo Stanton. He got Warren back, just to then trade him and others for international money. With that money, Cashman signed two of the top 10 international prospects in pitcher Osiel Rodriguez and shortstop Alexander Vargas— both are 16 years old. 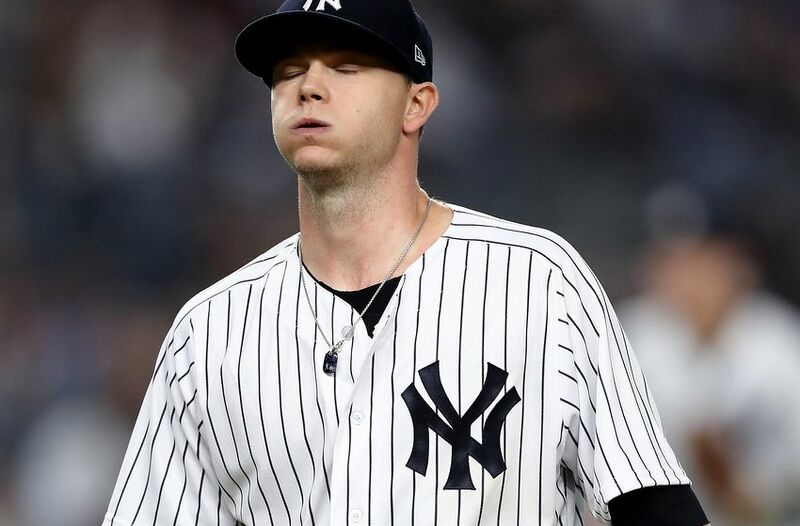 But the one of the few dark spots in Cashman’s moves has felt like a never ending disappointment, Sonny Gray. On July 31, 2017 the Oakland Athletics traded Sonny Gray to New York Yankees for CF Dustin Fowler, RHP James Kaprielian and SS Jorge Mateo. Gray seemed like the piece that would put the Yankees over the edge when he came over from the Bay Area. Now, he seems like the piece who might hold them back from any serious post season run. Gray is 8-8 on the year with a 5.56 ERA. Those number itself are extremely frightening, but that’s not the worst part. The sun is anything but sunny when Gray takes the mound in New York. His home versus away splits have been unreal. On the road, Gray posts a 3.62. At home, his ERA is 7.71. This season alone Gray’s has had six starts where he’s allowed five or more runs in four or fewer innings; no Yankees pitcher has ever done that. Before the deadline, the Yankees made two solid additions to the rotation by adding J.A. Happ and Lance Lynn. As if Gray hadn’t felt the pressure of pitching in New York before, he definitely feels it now. His future in pinstripes is in jeopardy as the Yankees have made it clear his job is no longer safe. They’ll shift towards any direction that works towards a World Series goal. The Yankees need to move on from Gray. Yankee Manager, Aaron Boone, will start Lynn instead of Gray on Monday in Chicago against the White Sox. Gray will now move to the bullpen in a diminishing role. Gray has the stuff to be a phenomenal talent and a great arm on a contender. But he can’t pitch in New York, it’s that plain and simple. His home and road splits should showcase that He was successful in a smaller market– Oakland– as his current road ERA is very comparable to his ERA while with the Athletics. But once he steps under the New York glare, he loses it. Add Gray to the long list of names who fall to the New York Spotlight. Ed Whitson, Steve Trout, Kei Igawa, Hideki Irabu, and Carl Pavano. The list goes on, but you get the point. All these names are pitchers who failed to survive in New York. August is here and each day we’re getting closer to the postseason. Once the Yankees traded for Stanton, it became a World Series or bust kind of year. With that dangerous and potent lineup taking some blows and losses to the Disabled List, it’s time the pitching staff steps up– especially Sonny. Gray’s days and opportunities are limited and the Yankees hope see him perform at his true talent level.